Avon mark. 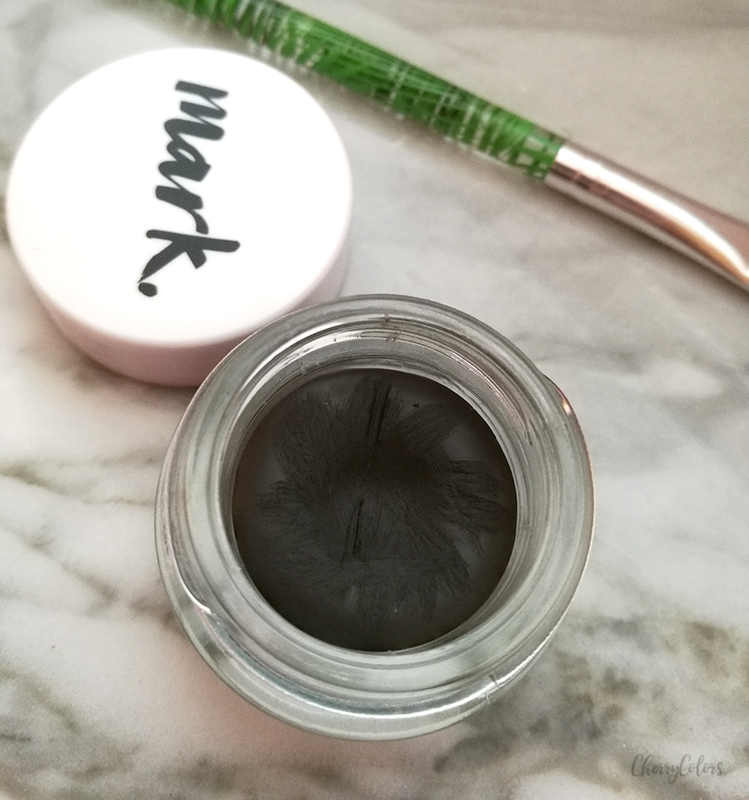 Perfect Brow Crème Gel Pot - Cherry Colors - Cosmetics Heaven! When I received this product I had my doubts (as I always do), but after using it for a couple of weeks, I am finally ready to say how I feel about. Gorgeous gel brows. Build your blendable brow definition with our shade-and-set creamy pots and pro brush for total brow envy! First I want to say that finding anything about this pot was a tedious job - every Avon site I went to had a malfunctioning search tab. Seriously! I had to go on eBay to get the full name because searching for "Avon perfect brow gel pot" apparently isn't enough. Anyway, I found it under the line mark. and hopefully, they will make searching their sites (I'm talking about the UK and Slovenian sites) easier in the future. Okay, rant over. Let's focus on the product because it really deserves its own spotlight. 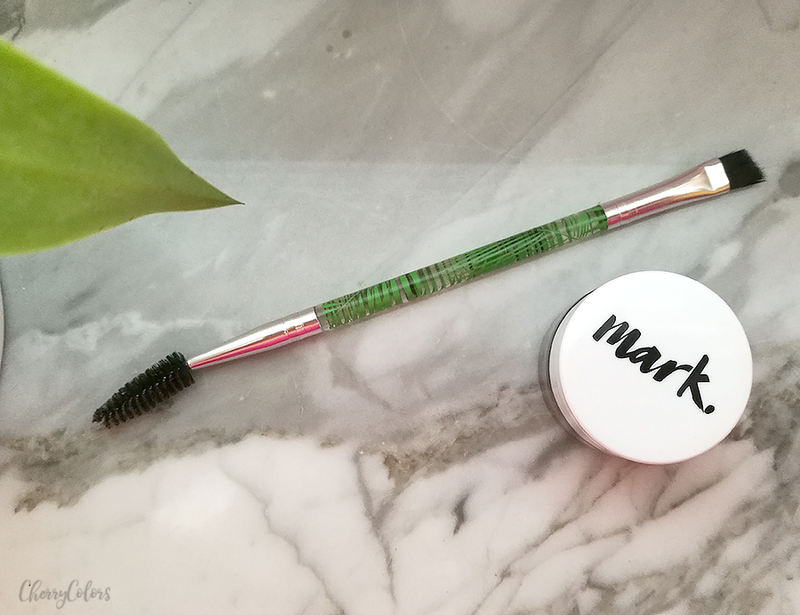 I've tried another eyebrow pot from Colourpop which left me unimpressed as it was quite hard to work with and the overall result wasn't as good as I wanted it to be. Because of it, I was wary of trying the gel pot from Avon but I'm glad I did it anyway. The pot is well, a small glass pot that could be even called cute. It's full of eyebrow gel and I think such quantity should last me for a couple of years. I'm set :D.
Mine came in the color Deep brown and I had my doubts about the color itself. Is it too dark? Will it work for me? Well, after that I dyed my hair blue and stopped giving any f****. I used it. The gel has a great consistency. It's hard enough so you can pick it from the pot but soft enough to be simple to use on the brows. What I like about it is how easy it is to use it. Using a gel eyebrow color now isn't just for the pros! 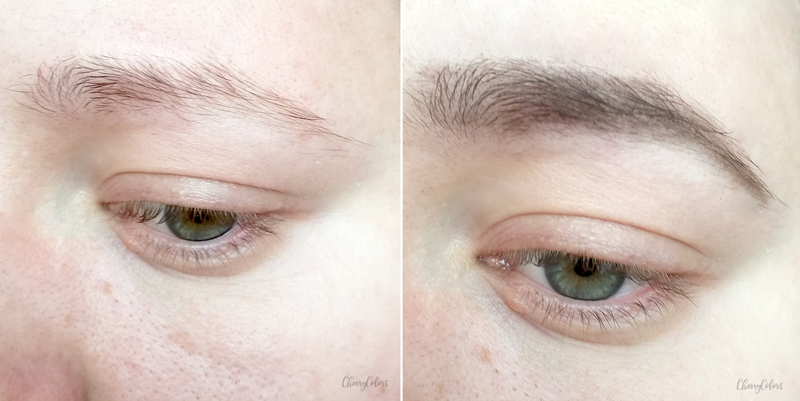 But I think pictures speak louder than words, so I'm showing you my eyebrows without any eyebrow product (and without trimming - it's been so long since my last visit to the aesthetician - sorry) and after using the Avon Eyebrow Gel. My eyebrows are sparse, light (but now they are dyed) and somewhat bushy. That's something new for me but I'm embracing it. I prefer to grab just a little gel and wipe it on the back of my hand so it melts a little bit. After that, I line the outside of my eyebrows and fill them in. The inner part is the last one I do as I gently fill it in with gel. I try to create a soft gradient look. We all have THAT eyebrow that just always looks better than the other. Luckily mine change their roles from time to time :P.
Because of this product, I realized that my eyebrows can look good. And with ease too! The gel is pigmented, glides on easily and stays put for the whole day. There's really nothing bad about it - maybe the lack of colors (there are 4 shades available). I wish it was waterproof for the extra sweating that is happening during summer, but otherwise, I can say it's perfect for me. I use it with my Essence Cubanita eyebrow brush, but any firm brush would do.